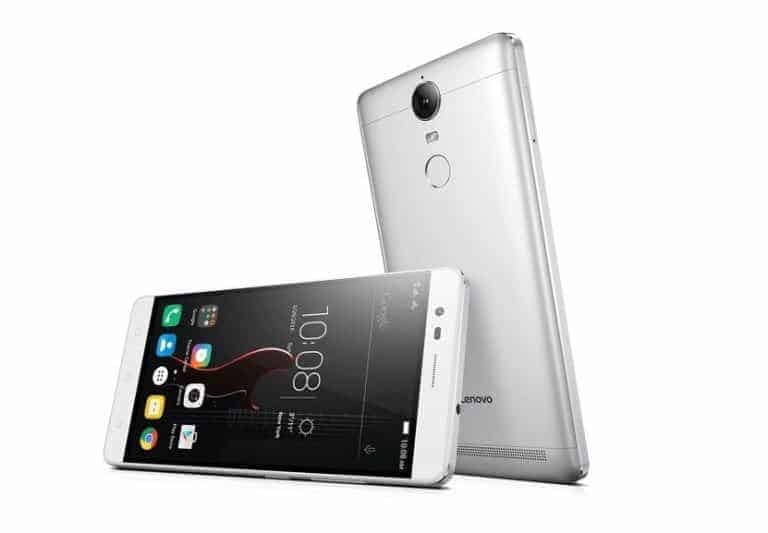 Lenovo has finally launched their Vibe K5 Note in India, which may turn out to be one of the tough competitors of Redmi Note 3. The pricing is quite aggressive and it comes with a price tag starting from Rs. 11,999 and is exclusively available via Flipkart. Before you start reading, grab some popcorn! The K5 Note comes with the 5.5-inch Full HD IPS display with Smart Brightness feature. The K5 Note comes with the 5.5-inch Full HD IPS display with Smart Brightness feature. The Lenovo K5 Note is powered by the MediaTek Helio P10 octa-core processor, coupled with 3GB Sor 4GB of RAM in two variants respectively. There is 32GB internal storage onboard which can be expanded via MicroSD card. The device comes with the TheaterMax technology support with the ANTVR headset and there is a TheaterMax controller as well. Lenovo has partnered with Amkette to bring this controller to consumers. There is a rear fingerprint scanner on the back of the device, and the scanner can be configured to use as a camera shutter as well. The K5 Note will also be a good phone for gamers, as Lenovo has brought the Amkette Evo Pad 2 for TheaterMax gaming. Anyway, here’s the full specs sheet in case you want to check out. “Our K series has been a big hit with consumers over the past year, with more than 3 million users. Our latest addition, the Vibe K5 Note brings an even richer and immersive entertainment experience. It offers a great combination of stunning aesthetics, great performance and ground breaking multimedia experience with TheaterMax. All this at an extremely competitive price for entertainment enthusiasts”, said Sudhin Mathur, Executive Director, Mobile Business Group, Lenovo. The Lenovo Vibe K5 Note is available exclusively on Flipkart and it will start selling from 3rd August 2016, 23:59 p.m. via an open sale, along with some offers with the device. The Vibe K5 Note is available in three color variants- Champagne Gold, Graphite Grey and Platinum Silver. The phone is priced at Rs. 11999 for the 3GB RAM variant, and Rs. 13499 for the 4GB RAM variant. You can buy it from Flipkart. There is also another phone which got relaunched with RAM upgrade- Vibe K5 Plus, check it out.